Founded in 2010, BuyTargetedViews is a social media marketing provider that offers quality promotional services. They offer services specifically for YouTube and are most known for providing real and country-targeted YouTube views. They claim to have sold over one billion YouTube views. Their website has a very smooth and organized layout, providing users with an intuitive interface. The ordering process is easy and fast, as users are only a couple of simple steps away from placing their orders. They allow order customizations. Users can pay with PayPal and credit cards. Their customer support services can be reached from on live chat, phone support +97252301189, and email support@buy-targeted-views.com. They have a limited 14-day refund policy and only provide refunds in the form of credit on their site. They don’t have a dedicated retention warranty, but they state on their FAQ section that their views won’t drop. If they do drop, just reach their customer support team and they will refill at no cost. They don’t have a satisfaction policy. 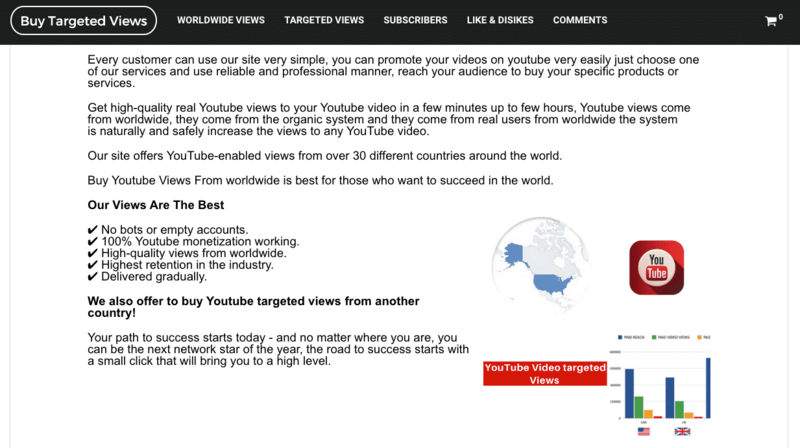 We liked how BuyTargetedViews allows its users to choose a variety of quality YouTube services. They excel in areas which are very important for a YouTube creator, such as high-retention and country-targeted YouTube views. In addition, we like how to they offer several methods to reach their customer support team and claim to have a no-drop retention warranty. 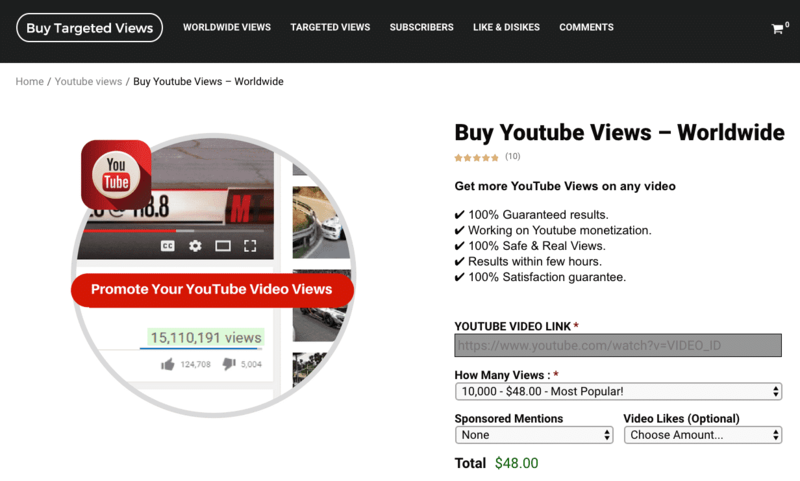 They could offer more flexible and supportive customer protection policies, but overall, we think that BuyTargetedViews is a quality provider that can help you boost the organic growth of your YouTube account. What are your thoughts on BuyTargetedViews? Tell us what you think by writing a review below.